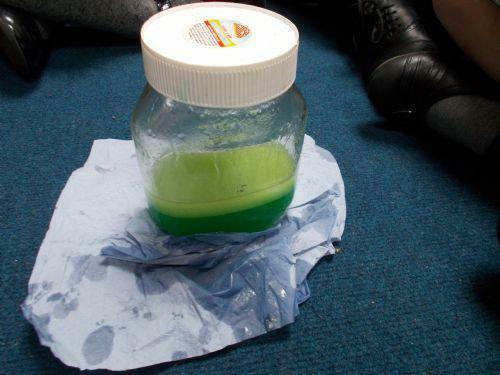 First, we put some water and a few drops of food colouring in a jar, we then added some oil and put the lid on (a very important part of the experiment! ), we had to shake the jar and then let it settle for one minute. We found that the oil and water separated because the molecules repelled against each other. 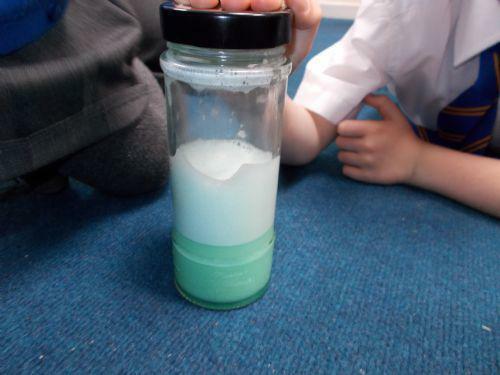 Next, we added some liquid soap and again we shook the jar to mix the contents. This time the contents didn't separate, the soap attracted the oil and it stuck to the soap molecules, this is what happens when we wash our clothes, body or dishes with soap. This then makes things clean!